An exciting thought came to me while watching the opening scenes of “Prometheus”: this movie does not think I’m stupid. This film trusts that I can go a few scenes without knowing exactly what is going on. It trusts that I can live with a little uncertainty. 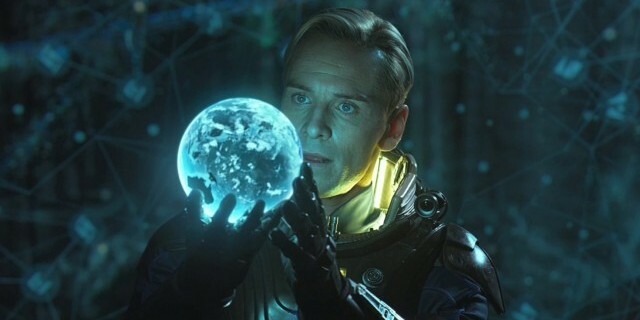 Which is to say, “Prometheus” is a true science-fiction film that aims not only to entertain but also to provoke thought. Released just days after the death of Ray Bradbury, the father of modern sci-fi, “Prometheus” plays as a tribute to the best of the genre, even if it never quite lives up to it. In this case, the fun is in the trying. 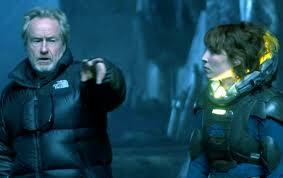 In the opening scenes, we meet the crew of the Prometheus, a spaceship on a mission from Earth to a distant galaxy. Their destination: a moon that has been identified in cave drawings from a wide range of ancient civilization. The underlying purpose of their mission, however, depends on whom you ask. For Elizabeth (Noomi Rapace) and Charlie (Logan Marshall-Green), the scientists who discovered the cave drawings, the goal is scientifically pure: they believe that on this seemingly barren planet they can find the origin of the human race. Their interests often tangle with Meredith Vickers (Charlize Theron), who represents the corporation funding the mission. Although her motives remain opaque for much of the film, she often finds herself in conflict with Elizabeth and Charlie and is the closest thing “Prometheus” has to a human villain. Beneath her is the ship’s captain, his engineers, a geologist, and a biologist, each of whom have limited screen time but with deft character strokes fill the screen. They are hired mercenaries, which in cinematic terms, means their only jobs are to provide some comic relief and then to die one by one. Finally, in the midst of it all is David (Michael Fassbender), an Aryan-looking android with mysterious motives (as if there is any other kind). The characters are all well-defined, and director Ridley Scott uses them wisely, with each one representing a different emotional reaction to the unknown. Scott also helmed “Blade Runner” and “Alien,” and he clearly knows what he’s doing in this genre. As a now-old master and well-respected filmmaker, his talent and experience show, first and foremost, in the film’s pacing. Good sci-fi draws us in from its opening scenes but leaves some of its biggest questions unanswered until the very end. I can call “Prometheus” a success because it fulfills these basic requirements of the genre. Working off of an inventive script, Scott builds the tension from two sources: our concern for the characters as they explore the planet and our curiosity as to the nature of the threat. When the alien threat thrillingly comes to fruition after over an hour of build-up, Scott borrows heavily from the language of horror films. There are no actual “gotcha” moments in the film, but the imagery in two particular sequences speak to one of our deepest and most profound fears: of being possessed by a foreign body. Still, when measured against the best in the genre, “Prometheus” never quite puts it all together. Despite a strong story, a serviceable cast, and stunningly beautiful cinematography and art direction, it is clear that the film wants to do more than simply entertain. The characters constantly engage each other in the age-old debate of science versus reason. In particular, Elizabeth is motivated in her mission not by reason or curiosity but by the faith instilled in her by her late father. Her colleagues mock her for being a “true believer,” but her actions do not separate her much from the other characters. In other words, the philosophy of the story, so crucial in science fiction, is expressed through dialogue but is never dramatized – and it prevents the film from ever truly soaring. Nevertheless, it raises some interesting questions. The search for the origin of the human race is of course an existential search for man’s true nature – what does it mean to be human? In the end, “Prometheus” does not have much positive to say about the human race, for whom science and faith are portrayed as two sides of the same worthless coin. While the film technically answers the question framed by its plot – where did we come from? – it leaves many more unanswered, perhaps making room for a sequel. But these are important questions for our society. Indeed, science and faith are sometimes diametrically opposed in the public sphere, especially when it comes to issues of environmental public policy. I give “Prometheus” credit for tapping into these deeply relevant cultural questions, but I wanted more of an answer. Instead, the filmmakers seem happy enough to raise these questions and send us back into the world as confused as ever. But even though the ending does not completely satisfy, “Prometheus” is still well worth the ride. I enjoyed nearly every single performance, with special kudos going to Rapace, whose emotional journey becomes increasingly important as the film goes on. It is not quite a star-making role, but that’s because there are no real starring roles to be found here. Much like a mystery, the primary relationship in the film is between the audience and the filmmaker. In a science-fiction film which seeks to redefine our reality, this slow-burn release of information (and tension) is crucial. It takes a strong, seasoned director to correctly anticipate an audience’s tolerance, and Ridley Scott is clearly the right person for the job. Fans of “Blade Runner” and “Alien” have waited a long time for Scott to return to this genre. Although “Prometheus” lacks a real reason to exist, our faith in the man has been rewarded.